The explosion injured two other officers and an onlooker. 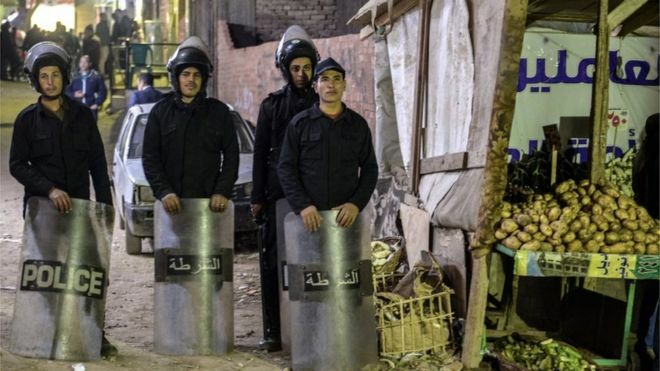 The device was one of two hidden in a bag on a roof by the church in Nasr City outside Cairo. It comes two days before Egypt's Christians celebrate their Christmas. About 10% of Egypt's population are Copts, and many say the state discriminates against them and does not offer them enough protection. 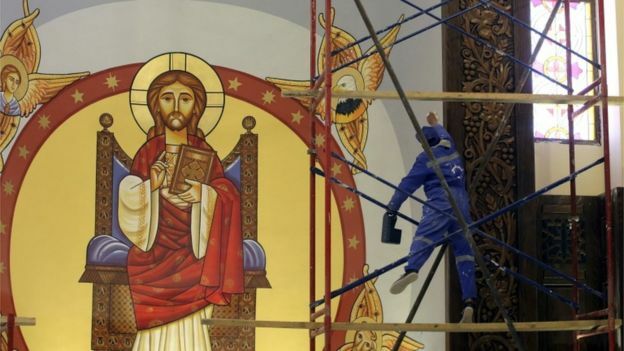 Egyptian President Abdul Fattah al-Sisi - who declares himself a defender of Christians against extremists - is due to open Cathedral of Nativity on Sunday outside the capital, the day before Coptic Christmas on 7 January. No group has of yet claimed the attack, but Islamist insurgents have regularly attacked Copts in the past. More than 100 have been killed in attacks by jihadists since 2016. Last October, 17 people were sentenced to death for their involvement in bomb attacks on Coptic churches. And the following month, police killed 19 Islamist militants who were accused of attacking Christians in a shoot-out.